Our light cuisine is served throughout the day, from morning till evening, with regional specialities and classic dishes interpreted with modern flair. Offered à la carte or as an evening menu with different courses. As you like it. The evening often begins in our Piano Bar. And it almost always ends there or by the glowing fire in the hearth in our lounge. Here you can also enjoy a midday snack and afternoon tea in a congenial atmosphere. Our Coco's Lounge "Casual, but still with top quality". A place for sun-worshippers, mountain observers and those who like to enjoy the moment in peace and quiet. 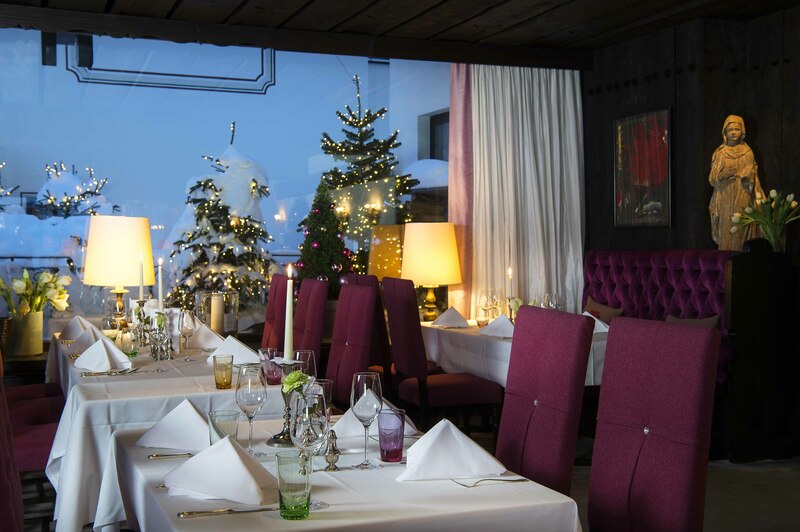 The Rooftop Terrace of Thurnher’s Alpenhof offers spectacular all-round views and sun all day long when the weather conditions are favourable.